(1) Whilst the school does not advertise itself as not-for-profit, the group is known for delivering high quality schooling at an affordable fee level on the direction of the school's owners to extend quality education to the broadest number of parents. Profit is identified specifically as not a major driver of schools in the group. (1) Class size is capped at a maximum of 25 children with 6 x FS1, 6 x FS2, 4 X Year 1 classes. (2) The school opened in September 2018 to Year 7 initially. (3) Year 8 will open in 2019. If South View School delivers on its promise and ambition it will re-define what parents can expect from British curriculum schooling in this fee segment. South View by definition identifies the degree to which the profit motive does impact on fees and what can be achieved with an owner committed to a more finely tuned balance of profit to favour parents and families over returns. This is a very interesting, potentially game-changing school in the making. We watch with interest. “We are not profit driven. Our main drivers [instead] are our teachers and our students…. At the end of the day, a good school is shaped by the quality of its teachers. Not the buildings, swimming pools or playgrounds…. “Our vision at South View is to enable our students to become responsible citizens, confident individuals and successful learners, who will have their eyes on the stars …..with their feet on the ground. 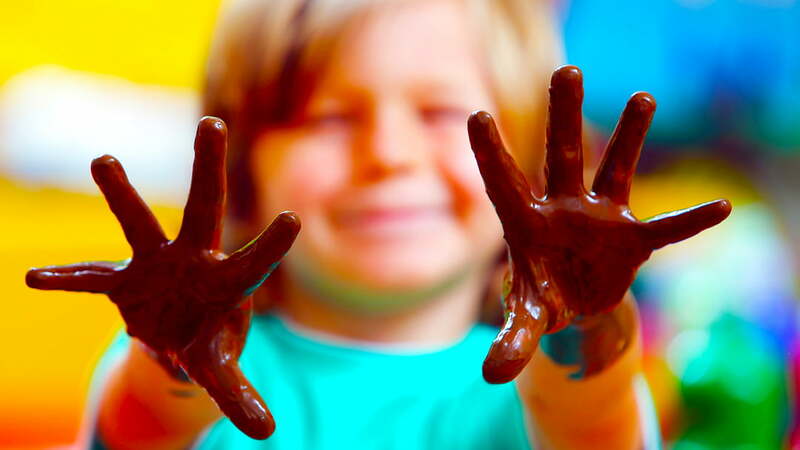 Education needs to be interesting and children need to be eager, engaged and purposeful at school. 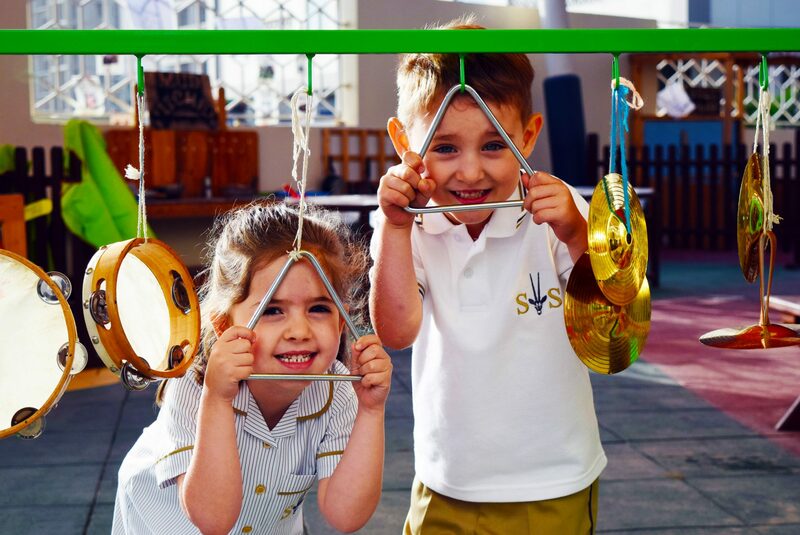 South View School is a new British curriculum FS1 – Year 13 all-through on a circa 4.2 acre site in the Remraam community in Dubailand. 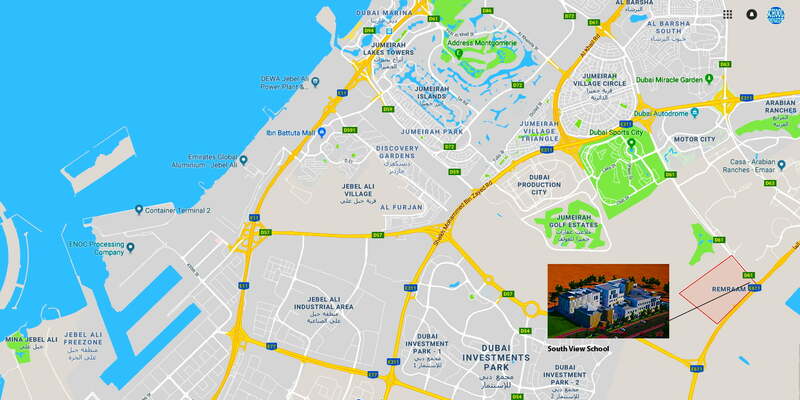 South View School is situated between Jebel Ali Free Zone and Al Maktoum International Airport. 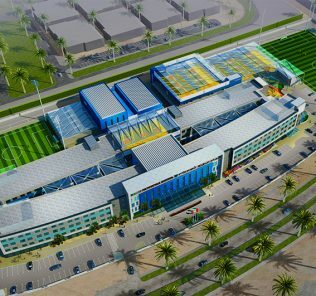 South View School is the first British all-through to open in the Remraam Community and is targeted to become the one-stop British all-through educational hub for the landmark project as well as providing a draw for parents at the Southern edges of Dubai Sports City, Arabian Ranches and Motor City. The school launched in September 2018 and opened initially to Year 7, phasing its full all-through launch through to 2022. 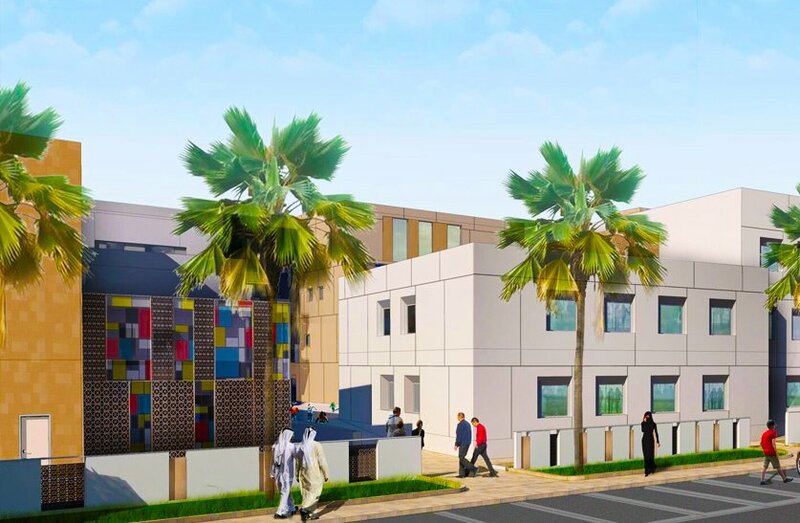 School capacity is set at a maximum of between 1800 and 2000 children on full opening, a relatively small school by Dubai new school standards. South View School is being opened by Interstar Education, best known within the British sector for their highly rated Victory Heights Primary School. Interstar is also known for its KHDA rated Very Good (with Outstanding Features) Delhi Private School and the Wonder Years Nursery in Dubai Sports City. For parents, this should provide a degree of confidence that the school is being set up by experienced founders with a proven track record of delivering very well thought of and successful schools. We rate Victoria Heights Primary School, the slipstream feeder to South View School, as one of the highest performing dedicated primary schools in the region. 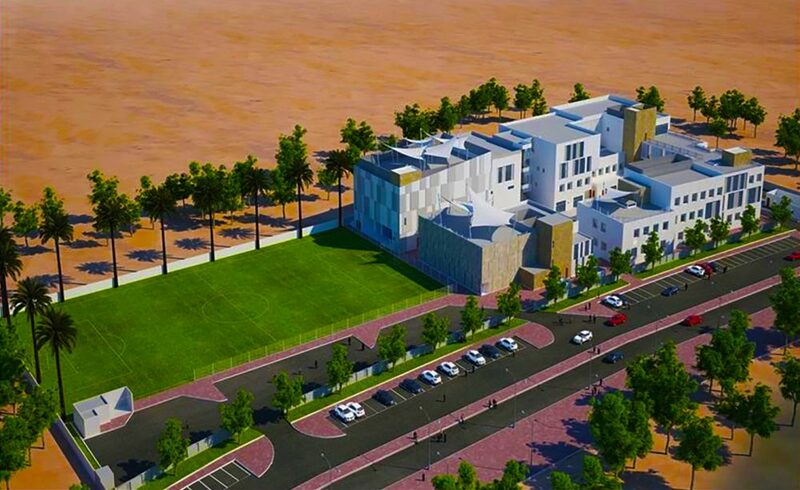 Total investment in the school amounts to some AED55M (US$ 15M). What makes South View School different? Thirdly, a specialist sports focus on tennis. More on each of these below…..
South View School was designed and built by ENBT Reit. On our first visit to South View School in October 2018 we noted considerable attention to detail with inset Arabic-styled coloured glass light panels and multi-height buildings. Whilst later years and Sixth Form provision is still in development, the thought we have seen invested in Early Years and Primary learning evidence a clear commitment to avoid the blocky, low-cost architectural design of schools more common in this fee segment. The intention is clearly to provide an inspirational space for children – and one that re-enforces and works with the cultural feel of the broader Remraam community. 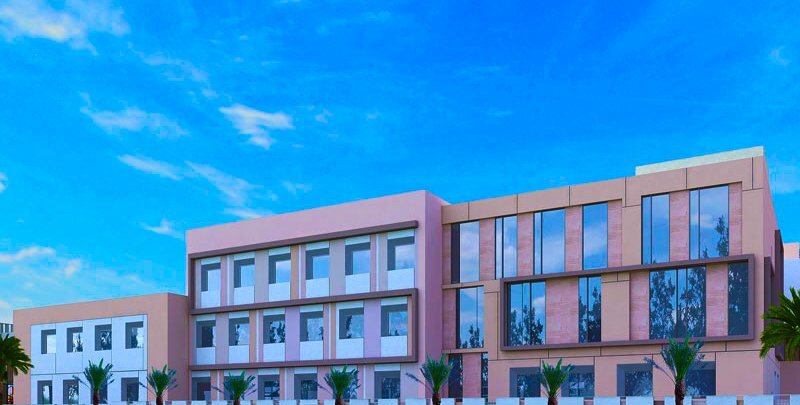 On our first inspection we found much to substantiate the claims of Interstar that, despite its fees, the group will be delivering to Dubai parents, on all-through launch, a school situated squarely within the ambitions of the premium schools sector. Interestingly, the school’s design team and architects are said to have worked historically with Frank Gehry, the extraordinary architect behind the iconic Guggenheim Museum Bilbao and its planned namesake Guggenheim Abu Dhabi. Our general view, after our first visit, was of a school that is still developing its overall identity. Significant parts of the school are in design and build – this understandable given the carefully managed plan to phase launch of the school and much later provision for older children. What can be said is that the scale and quality of the classrooms and overall space is such as to ensure a blank canvass for any number of possible design, curriculum and visual outcomes for the school as it evolves. Subjectively we would prefer a greater concentration on lighter, primary colour-ways for the school, but these are early days. Facilities include separate, dedicated Science, Art, music, IT, language and athletic facilities for Foundation Stage, Primary and Secondary, supported by separate playgrounds, play areas and social spaces for each age group. The ambition is very much to provide all the benefits of an all-through education for children, whilst still providing for the very individual needs of each child at each phase of their education. To this end, the separate FS phases have their own self-contained ground floor block, with dedicated indoor and outdoor facilities including two FS indoor activity areas, an FS Playground, FS Multi-Purpose Hall and a separate splash pool. FS classrooms have their own dedicated outdoor areas providing a range of curriculum-linked, outdoor learning activities including water and sand play, mark-making, sensory and construction activities, role play and small world play. FS phases have their own permanent outdoor playground area and (as above) a separate Multi-Purpose Hall. This should appeal to the significant number of parents who choose to send children to dedicated Primary schools to ensure that they are protected from the pressures that come from being educated with older children. At South View School the aim is to clearly demarcate provision to ensure a cultural and educational separation that recognises the needs of children at Primary, Middle and Sixth Form phases. Again, for us, this provides substance to the claims of the school to be positioning itself within the premium school sector. The South View School Primary block is again a distinct and self-contained zone, housed on the ground and first floor, separate from both Foundation and Secondary School phases. The Primary school has its own dedicated primary specialist facilities, including a Music Room, a STEM suite (consisting of a Science Lab and Computer Lab); Art Studio and a Primary Library. Interestingly the school directly references its sister Victory Heights Primary School as providing a model for the design and planning for the Primary school phase – and, as above, our very positive view of Victory Heights Primary School suggests that provision will be eventually outstanding as the school builds its role and meets this ambition and blueprint. Sports facilities including a competition football field; 25M temperature-controlled swimming pool; a smaller training pool for younger children; 3 Multi-Purpose Halls for a range of athletics; multiple outdoor roof courts; and 3 dedicated tennis courts supporting the specialist tennis focus of the school. On its own terms, it is worth noting that South View School will be the first specialist tennis school in the UAE and it is rare for a school to choose one key sport on which to focus attention. It does not mean that other sports are not catered for (as the facilities attest) – but it does mean that the school has nailed its colours firmly to one area it wants to excel in. We think that is both brave and laudable. South View School identifies language provision and choice as one of the key ways it will differentiate itself from schools in its sector. Investment in language teaching is already significant at launch and there is a clear emphasis on both protecting and nurturing the native language skills of children for whom English is a second language. From Day One provision has been available in Spanish, Italian, Greek, Russian, French, German, Urdu and Hindi. Southview School aims, further, to provide support for all native languages, if at all possible, of those attending. This, again, is exceptionally ambitious for a school in this fees segment. ROI is strong. The aim is that this will create a genuinely multi-lingual school environment that helps all children, including native English speaking children, from across the cultural spectrum. Children, in this model, will learn from each other, with the ambitions of international schooling to build cultural understanding and language proficiency, so often promised by other schools, in the process made real and tangible. Certainly this provide substance to the claims that this will be a genuinely inclusive international school. Languages will be supported by specialist labs at all phases. It should be noted that extended language provision will require an additional investment by parents. Whilst some parents may be frustrated by this, we think the decision to keep baseline fees low and provide this as an option, has good rationale and credibility. It is worth bearing in mind that this scale of investment in languages is provided by very few schools in Dubai – and, where it is, at fee levels some three times the baseline fees of South View School. As above, and assuming that South View School does meet its ambitions to deliver premium schooling identified above, we think that school fees will provide exceptional value for parents for a pure British education. First, we would expect to see a more international mix of teachers than the purely British faculty of more expensive schools. It is likely, however, that British teachers will predominate. Second, on a positive, the school’s location, and relatively lower cost of land, is likely to have allowed the owners to invest much more heavily in design, space, facilities and infrastructure. The trade-off is that the location may well be seen by some parents as off-pitch. Baseline fees, running between 42,000 AED at FS phases to 59,000 AED at Sixth Form are half those of Dubai’s ultra-premiums – and with 3-year founding discounts of between DHS3000 and DHS7000, dependent on phase of entry, the value proposition is genuinely significant. South View School – the SchoolsCompared Bottom line? Had South View School been one without a heritage of (highly successful) sister schools behind it, we would have been cautious given the balance of promised offer which provides for a premium education at mid-tier pricing. However, we have seen, in the British schools area, what the founders have achieved at Victory Heights Primary School – and this gives us significant confidence that what is being planed will be delivered. It is, inevitably, hard to define the eventual character of a school at this stage, given the early phases of the school’s opening. For many parents location certainly will be an issue – and a frustration. This is exactly the type of school/fee combination that we know many parents are calling out for in more developed areas of the emirate. Generally, to secure this sort of education elsewhere parents are facing very big trade-offs – usually in both faculty and facility provision. There is a real trade-off decision to be made here by non-local parents between ROI, high quality education and low fees with higher fees and a more accessible location elsewhere. South View School, at least on its current promise and ambition, has the potential to rewrite the rule book of what can be delivered in this price bracket. 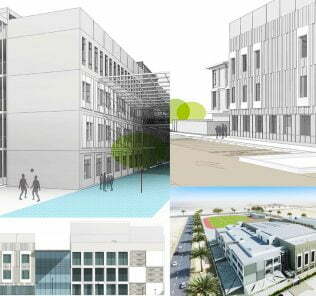 We think the opportunities here will provide considerable temptation for parents from across Dubai. On our first visit we found a school filled with life, happy children and school faculty clearly committed to the education of children. This is not a school where teachers (or school leadership) simply go through the motions. As with all new schools in build phase, however, there will always be risks. It does take time to build identity, reputation and guarantees. But this is a finely balanced equation in which, positively, on offer is the chance to be a founding family of a school that clearly has its heart in the right place – and one backed by owners who have proven they can deliver. Worth noting too that we found the Founding Principal, Joanne Wells, extremely ambitious for child achievement with a clear conviction that the school would evolve to be best in class. We found Ms Wells’ stated resolve to build a community hub driven by parental engagement and respect – and to ensure that the highest calibre of teaching at South View will focus on value-add achievement exceeding global benchmarks of age-related provision, both inspirational and plausible. It is too early to unreservedly recommend a school which, like all new schools, needs to be given the time to bed-in provision and, through interaction with parents and children, develop its own identity and “heart.” But we think, on balance, South View School Dubai is a school worthy of provisional shortlisting and opening a dialogue with the school’s Admissions Team to explore the detail of its offer further. We expect great things in 2019.